We often rejoice the act of gifting with close and dear ones on special moments of the year. But, there are many people in the world we live in who are much in need of gifting and getting surprised with a token of love. This act of gifting and lending a helping hand to the needy ones is the act of kindness. No wonder, chocolates, teddy bears, mugs, sweets, and other thing prove great as gifts to bring a cheerful smile on someone’s face. But, when the need of gifting is to help the ones in need with the kind act of gifting, the selection of gifts should be made wisely. In fact, you need to put your soul and heart into the act of gifting and bring smiles on the face of the ones in need. People those cannot afford basic necessities of life, definitely remain deprived of a medical kit that is of foremost importance. To assure everyone gets medical help, the idea of gifting a medical kit to everyone is the wonderful way of helping the needy ones. You can prepare basic medical kits including thermometer, painkiller pills, medicine for fever, cold, cough, antiseptic liquid, bandaid strips, cotton, bandages and things alike. It can be in the slum areas, at NGO’s, to unprivileged children and others where you can gift medical kits and help them during unfavourable moments of being unwell. In India, people who are unprivileged are usually deprived of awareness of basic sanitation and hygiene. Thus, the idea of gifting a sanitation kit will be an excellent way of helping your society to be clean and live a healthy life. You can buy baskets and get it filled with hand wash liquid, clothe cleaning detergent, set of bathing bars, moisturizing lotions, nail cutting, and cleaning tools, sanitary napkins, cotton roll, dustbin and things alike. Your idea will be loved by the deprived ones to receive. Undeniably, the season of winter is the toughest for unprivileged children and for every needy people. The best way to make this tough time of the year a little comfortable for all the needy ones, the idea of gifting winter clothes and blankets is highly appreciable. You can either look up for extra sweaters, jackets or blankets from your wardrobe or you can buy new sweaters, jackets, and blankets for the needy ones and lend a helping hand to the ones in need. Another way of showing some kindness to the needy ones for the upcoming winter season is by gifting boots to them. You can buy winter of different sizes and help them in saving their foot from the harsh winter season. It’s a thoughtful way of helping the needy ones during winters and making the weather of winters a little more comfortable. The cheerful way of bringing smile on the face of people in need is by delighting each one with yummy creamy cupcakes (https://www.giftalove.com/cup-cakes). Your gesture of delighting needy ones with sweets something is great way of making everyone happy. You can also try gifting cake pieces to all. The idea of gifting something useful to others like old clothes is always appreciable. This way, you just refresh your wardrobe but basically help people who are in need of clothes to wear. You can select the old clothes that are in good condition and can gift it in NGO’s, to differently abled people, in the slum areas and other. It is obvious for underprivileged people being not able to afford buying insulated flasks that help in maintaining the hot or cold temperature of water or other drinks. Insulated flasks are one of the greatest ways of making summer and winters if needy people a bit more enjoyable which they may have never imagined. Gifting is not just the way of conveying celebratory or festive wishes with close and dear ones. It’s an amazing way of being kind to others and a wonderful way of sharing happiness with everyone. 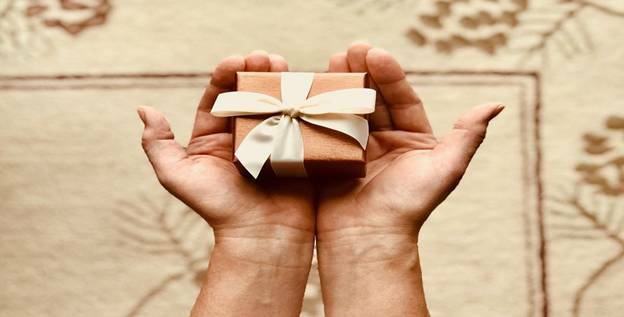 With GiftaLove.com, one can spread happiness with close and dear ones as the online store is always there to help you in every gifting need of yours.